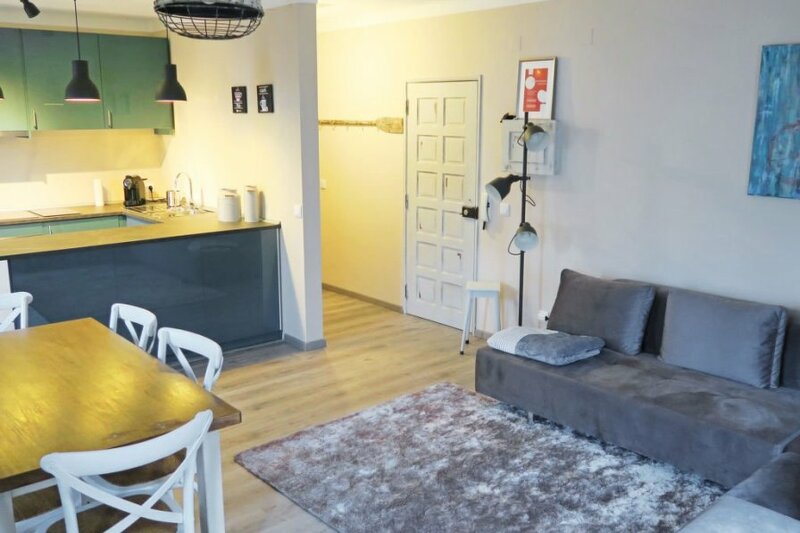 This 2 bedroom apartment is located in Vila Nova de Milfontes and sleeps 4 people. The apartment is within walking distance of a beach. "Apartamento milfontes", 3-room apartment 74 m2. Cosy, comfortable apartment block "Apartamento Milfontes"
The agent describes this apartment as a family friendly holiday rental ideal for the summer holidays. It is also good value for money. This apartment is located in Vila Nova de Milfontes. It is set in a very convenient location, just 300 metres away from a beach. The apartment is well equipped: it has a dishwasher, a microwave, an oven and a TV with international channels.